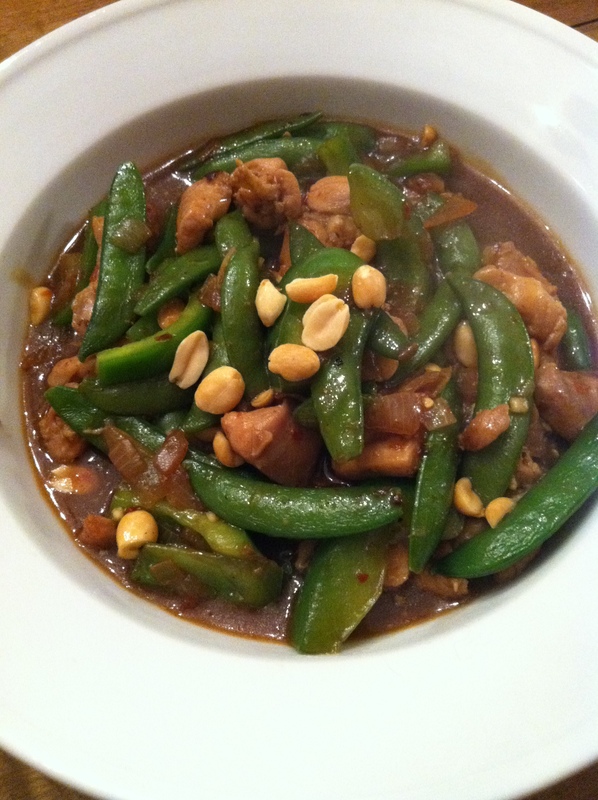 Kung Pao Chicken and a Question of Recipe Ethics | Small, but valuable. I’ve been mulling over an ethical question lately. At what point have you transitioned from making minor adjustments to someone else’s recipe to being able to claim the recipe yourself? I’m not trying to be sneaky and claim recipes for myself that really belong to others. It’s just that I do often make several substitutions or changes to recipes. When do those recipes become my own? I’m not sure. To be safe, I’ve been working under the assumption that none of them are mine at all, but I’m not entirely sure if that’s true. Thoughts? And now for the simple, tasty part of the post. 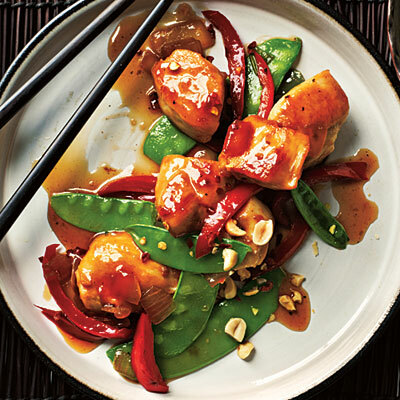 I made Kung Pao Chicken last night from The New Way to Cook Light (also available here on the Cooking Light website). I made surprisingly few alterations this time around, making my above moral dilemma a moot point for now. I chose not to make rice to go with the recipe, which made it an incredibly healthy and inexpensive mix of meat and veggies. We did miss the rice, however. You need something to soak up all of the delicious sauce. My only negative commentary for this recipe is that it doesn’t make awesome leftovers. The veggies really need to be cooked just right (about 90 seconds less than I did), and microwaving them later is just enough to make them soggy and over-cooked. With that minor word of caution, this recipe really is marvelous. It was ready in less than 30 minutes, even for me (with unthawed chicken at the start of the half hour). And it is incredibly flavorful and healthy. It’s a definite win. Oh, and it’s on the spicy end of my preferred spice spectrum. Just a note. Use less crushed red pepper if you’re not a fan of spicy dishes. While I was chopping peppers for the recipe, I ran into this nice little swirly bit. Scott and I briefly thought that it was a worm, but it wasn’t. It was definitely part of the pepper. 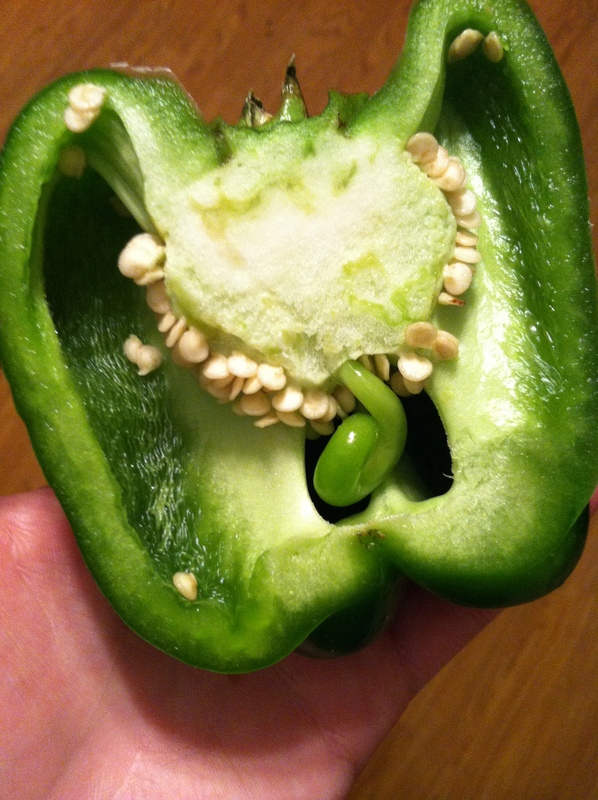 How have I never seen anything like this in a pepper before? As soon as you make a single change, it’s yours. The truth is that the person you got that recipe from probably took it from someone else, who took it from someone else, and so on. Whoever wrote the recipe for that book is hardly the original creator of Kung Pao Chicken. That makes perfect sense, because how else could anyone claim a recipe like macaroni and cheese? I will definitely start claiming my recipes. Thanks for the comment.